As we are all aware, the 5.7x28 has had mixed reviews in terms of "stopping power" - some incidences show excellent performance, and while others have reported unsatisfactory results. These later unsatisfactory results are primarily associated with the SS190 when used by some MIL/LE units. This got me thinking, because another round has also had very inconsistent reviews - the 5.56 SS109 "Green Tip." Some reports from the field indicated that it worked extremely well, while others reported the rounds going "through and through" with little effect even at CQB ranges. What makes this even more interesting is that the 5.7x28 SS190 is basically a lightweight clone of the 5.56 SS109: both rounds feature a small steel nose cone, followed by a softer material base. And, further adding to the intrigue, both are designed by FN, and both are designed to penetrate a few inches and then tumble. 5.7x28 SS190: Steel nose cone, aluminum base. "What resulted from their investigation was a landmark discovery in terminal effectiveness science: Bullets – all bullets, not just .22 caliber ones – experience a period of very violent yaw and turbulence when they exit the muzzle, causing their angle of attack relative to their flight path – that is how “straight” the bullet is in flight – to vary wildly. Within 50m, they found, two bullets fired from the same gun, at essentially the same time, might impact a target at two completely different angles. 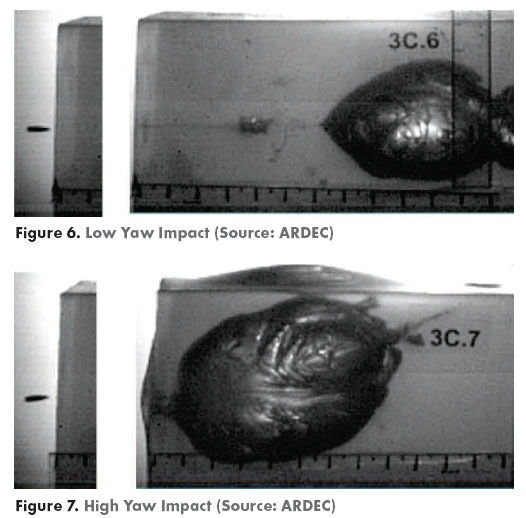 A bullet impacting head on into gelatin would stay stable for much longer than one impacting at a high angle, and would deposit its energy much later. This explained the problems some users – but not others – were having with their weapons. In some instances, the FMJ projectiles would hit the target at a desirable high angle of attack, tumble and fragment within a short distance, and reliably stop the target, while in others, the same type of projectile would hit at a flat angle, and might not yaw for many inches." Hypothesis: The reason the 5.7x28 has gotten a bad rap in Mil/LE circles is due to the Fleet Yaw Effect of the SS190 projectile, not due to a "lack of power." If the 5.56 SS109 is nearly identical in construction to the 5.7x28 SS190, and the 5.56 SS109 and 5.7 SS190 are both known for unpredictable performance, then it is likely due to the same case - the Fleet Yaw Effect. Given that the 5.7X28 is typically not used against the morbidly obese, it's fair to assume that this SS190 would have been a "through and through" with the same poor performance often sited by users of the 5.56 SS109, simply poking a 0.22" hole with little energy transfer or effect. 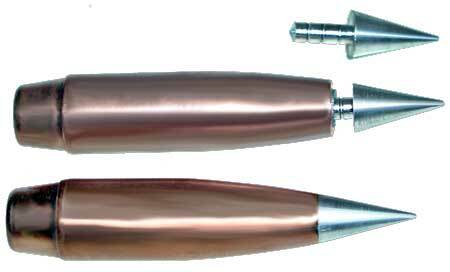 And performance like this would explain why the 5.7x28 has gotten such mixed reviews from LEO/MIL who use the SS190. Implications and Solutions: The Army has solved the Fleet Yaw problem through the use of OTM projectiles such as the MK318 and MK262, as well as the 3-piece M885A1. LEO's meanwhile have solved it through the use of JSP's and hollow points. For the 5.7x28, ballistic tip projectiles such as the VMAX are similarly yaw independent, as JHP's. However, given the 5.7x28's raison d'etre on penetration followed by yawing, what needs to be established is a FMJ/OTM/Solid that less prone to the Fleet Yaw effect than the SS190. So far the SS195/SS198 projectile looks pretty good, but a larger test sample is needed, fired at a variety of ranges, to determine whether the SS195/SS198 is vulnerable to fleet yaw. For example, 50 shots of ss198 into a "clear ballistics torso" - with 10 rounds each at 5, 10, 15, 20, 25 yards to determine whether they are all consistently tumbling at the same depth, or whether Fleet Yaw is still in effect. Moving beyond that, it would be ideal to create a new Duty round that is both designed to counter fleet yaw, while offering penetration and 12" FBI minimums. Because as it stands, SS190 is likely just as vulnerable to fleet yaw as it's big brother SS109, and so long as SS190 remains the dominant duty round for the 5.7x28, the platform is likely to not receive the respect and continued support that it deserves due to inconsistent performance. Good subject to bring up, something I've looked into some as well. As far as passing the FBI test, it relies very heavily on expansion to score high, so our small diameter bullets, and new fancy ones like the ARX are a fail every time. I've also read that a big problem with the 855 (109) over in the sandbox is the emaciated state of the enemy. They're so skinny that it dumps very little energy, and shows very little tumbling, because it's already exited them before it would begin to tumble. The SOST bullet was designed to help counter this, as well as provide a more barrier blind solution. Of course it was shelved, as they wanted a 'green' bullet (the 855A1). The Mk262, as you mentioned, also works great, but it's also lead based, and being a Sierra Match King, isn't exactly cheap. I guess it also works awesome out of short barrel, fast twist 5.56 rifles due to it's weight. They ended up going with the M855A1, which runs an even higher pressure than the M855 did, and I hear the exposed steel tip tears up magazines and feed ramps something terrible. I have always wondered what a larger copy of the 195 or 190 would do in an AR platform. 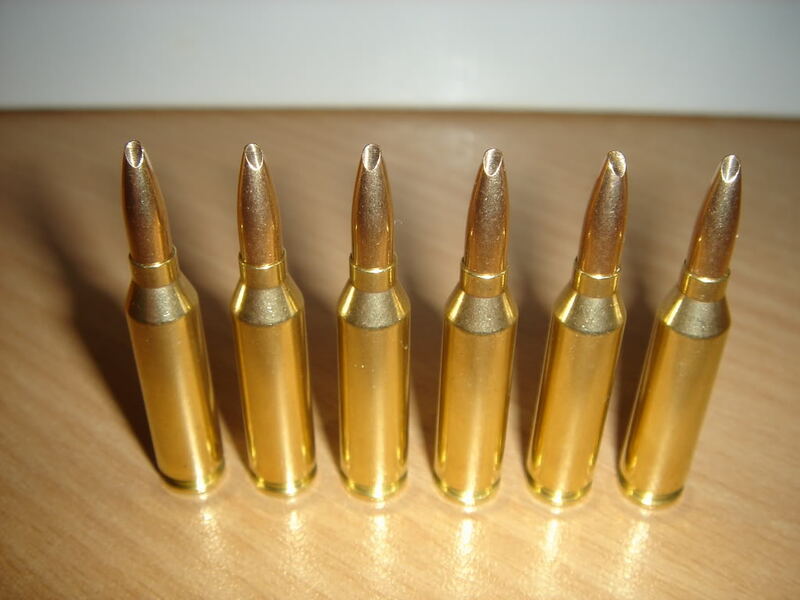 If they made them the size of a 77gr SMK, of course they'd be lighter with no lead, but the longer the bullet, the better the tumble, and they could switch between long and light, or long and steel cored depending on need. Not sure what they'd weigh in at, but speed kills, and I bet they'd be stinky fast. DoubleJ wrote: Good subject to bring up, something I've looked into some as well. The original M855A1 was indeed higher pressure. Now it's almost in line with what M855 runs. Breaks into 9 pieces and 12" D 2.5"W cavity in gel. This is far superior performance then the SS190. Ideally it would be nice to have something like that worked up for the 5.7x28, but we'd never get access to it. A 40gr metal tipped V-Max @ 1950 fps out of the FsN, 2200fps out of the P90 would likely be the most versatile option. spyderco monkey wrote: A 40gr metal tipped V-Max @ 1950 fps out of the FsN, 2200fps out of the P90 would likely be the most versatile option. Nope this is and 40 is already to heavy for best performance from the 5.7x28. I've been in contact with Matt Phillips before, I should ask him about 5.7 interest.. I just re-watched Amendment #2's test of the T6B and it was very impressive. My only concern, and why I brought up this thread, is the Fleet Yaw effect. Apparently this is an issue that effects all FMJ/Solid rifle projectiles that DTIC tested (with even 5.45 7n6 being vulnerable to an extent) so it might be a risk with T6B as well. Basically depending on what yaw cycle the bullet is in at impact, FMJ's either tumble early as designed, or sometimes quite late (10"+) as happened with the 5.56 SS109 and 5.7x28 SS190. Whereas bullets designed to respond to hydraulic pressure (JHP/OTM/Ballistic Tip/ 3 piece) are not susceptible to the variances of Fleet Yaw. The Spoon Tip offers extra reliability / consistency, because the hydraulic pressure applied to the uneven tip forces the bullet to rapidly tumble. This was pioneered by HK with their 4.6x36 CETME, and was also incorporated into some versions of the 4.6x30. Buffman wrote: I've been in contact with Matt Phillips before, I should ask him about 5.7 interest..
not sure I'd be able to get my hands on it. I can ask.